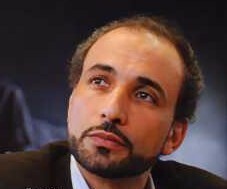 Clive Davis: WHO IS TARIQ RAMADAN? Ramadan is in fact one of the few Muslim intellectuals to speak out against anti-semitism. In an article in Le Monde, he wrote: "We have heard the cries of ‘down with the Jews!’ shouted during protest demonstrations, and reports of synagogues being vandalized in various French cities. One also hears ambiguous statements about Jews, their secret power, their insidious role within the media, and their nefarious plans. ... Too rarely do we hear Muslim voices that set themselves apart from this kind of discourse and attitude." [Nicolas] Sarkozy accused Ramadan of defending the stoning of adulterers, a punishment stipulated in the section of the Islamic penal code known as huddud. Ramadan replied that he favoured "a moratorium" on such practices but refused to condemn the law outright. Many people, including Sarkozy, were outraged. When I talked with Ramadan in London, the mere mention of the word "stoning" set him off on a long explanation. "Personally," he said, "I’m against capital punishment, not only in Muslim countries, but also in the U.S. But when you want to be heard in Muslim countries, when you are addressing religious issues, you can’t just say it has to stop. I think it has to stop. But you have to discuss it within the religious context. There are texts involved. I am not just talking to Muslims in Europe, but addressing the implementation of huddud everywhere, in Indonesia, Pakistan and the Middle East. And I’m speaking from the inside to Muslims. Speaking as an outsider would be counterproductive.